My 8 year old nephew and I were out and about for most of the day so in addition to our lunches I packed this snack bento for my nephew. I used an insulated bag and ice pack. 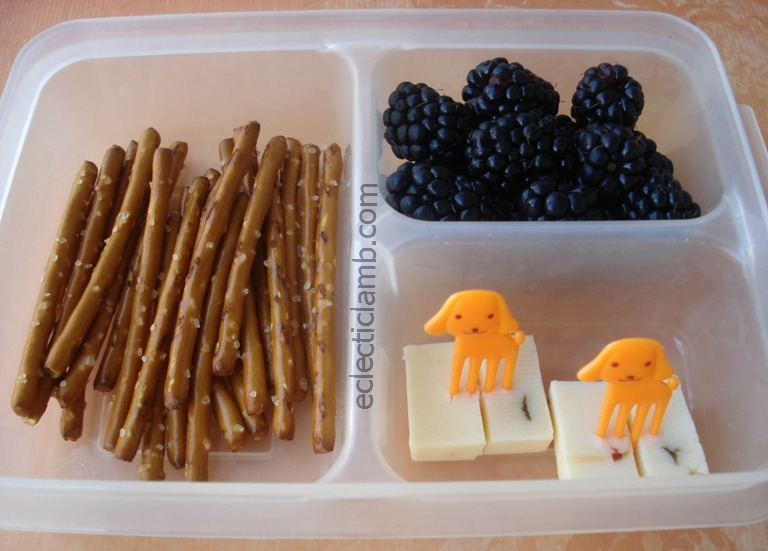 This entry was posted in Bento / Cute Food and tagged bento, snack, vegetarian. Bookmark the permalink. I bet our nephew loved it! Those berries look yummy – I sampled an incredibly sweet one at Wegman’s yesterday. Yes, they came from Wegmans. Delicious! The jalopeno cheese looks good! Great snack choices. Thank you! My nephew loves jalapeno cheese.